Time would not allow for us to tell the stories we have of the trials we have faced. Allow your mind to survey the memories of the hardships you have endured. Some of us have encountered one trial after another while others of us have endured more difficult trials than others. The fact of the matter is that as long as we live in this present age, we are not finished confronting troubling moments. This is our calling as Christians. We are to follow the path of the One who has gone before us, the Man of Sorrows. He was well acquainted with grief, despised, oppressed, and afflicted (Isa 53). We, too, are hard-pressed on every side, yet not crushed; we are perplexed, but not in despair; persecuted, but not forsaken; struck down, but not destroyed – always carrying in us the dying of the Lord Jesus (2 Cor 4). Today, we will discuss a passage of Scripture that declares again what the entire New Testament teaches; that is, Christians are to rejoice in times of trial. The Lord Jesus taught this, “Blessed are those who are persecuted for righteousness’ sake. . . . Rejoice and be exceedingly glad. . .” (Matt 5:10, 12). The Apostle Paul said the same, “. . . but we also glory in tribulations. . .” (Rom 5:3). And Peter, too, encouraged, “In this you greatly rejoice, though now for a little while, if need be, you have been grieved by various trials. . .” (1 Pet 1:6). Today, we will see what the James, an Elder in Jerusalem, had to say. I invite you to read with me the Word of God. Notice how James puts the subject of trials forefront in his letter. He doesn’t even finish the typical opening of a letter before he interrupts himself by getting to the task at hand. This tells us that the Christians he was writing to in the first century were facing tough times. They needed to be encouraged, and James wastes no time getting to that job. We also know that this is a major subject for all Christians of all ages. We need to be encouraged to continue through various trials as well. 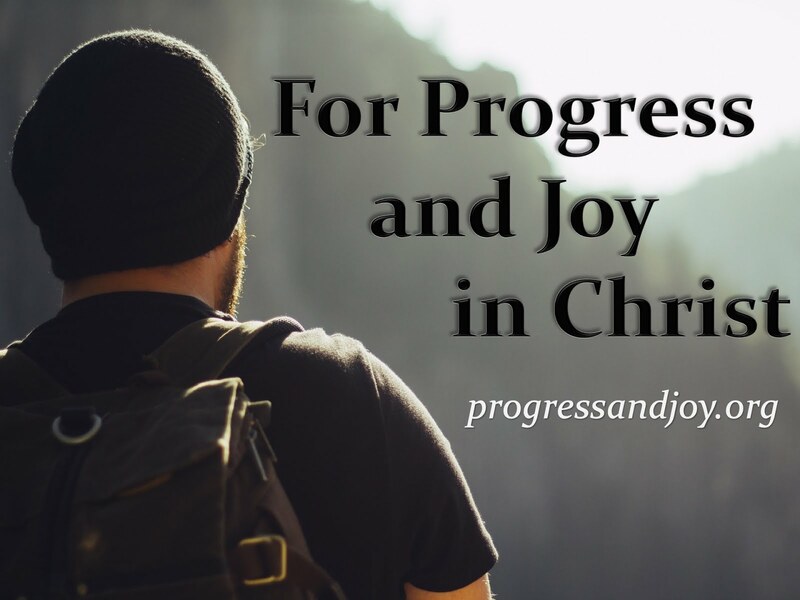 When James commands his brothers and sisters to consider trials “all joy” it is not to say that this is the only response allowed as if we cannot be saddened or mournful. What it means is trials are occasions for pure joy. He will explain this is in the following verses. Joy is more than a smile on your face; it is something that is known in the soul/mind. That is why you can face various trials with joy. It is because you know what you have in Christ and what the future will bring! There is no doubt that God permits testing, even of believers. Let’s be clear, He does not tempt us to sin, but He allows us to be tested by various trials. As Christians, we learn that these trials are opportunities to demonstrate our faith. When it is all said and done, we come out stronger than we were at first. The language refers to the process of refining silver or gold. “The difficulties of life are intended by God to refine our faith. . .” (Moo, 54). When our faith is put through the heat of suffering the impurities of our lives are refined away leaving a only a purified offering to the Lord. Thus, the point is not to see if we have faith or not, but to perfect the faith we already have in Christ, our Savior. “Patience” here means “perseverance.” It is the picture of someone carrying a heavy load for a long period of time. Christians learn to trust in God the more they meet trouble. When our faith is tested, this is the first and immediate result. “Completeness” or “perfection” is the goal. Testing produces perseverance which is the first step toward that end. You see, perseverance needs to perfect its work in you so that you may be perfect. So, what is it that you are called to do? You are to meet trials of various kinds with joyous confidence in God and Spirit-led determination to endure. 1) At the very least, we are called to respond positively to our trials. Of course, this is against all of our natural, worldly instincts. 2) Do not be surprised when you are challenged with a difficult moment in life. This is what we have been called to in the Lord. 3) There is a purpose to be found in all of this. God is allowing you opportunities to become mature and complete in your faith. You see, faith is what saves a person. If your faith becomes weak, you run the risk of falling away from Christ. Yet, if you grow strong in your faith, if you can better understand the Christian life, then you will be saved from this present wicked age and the wrath to come. 4) No matter what your trial may be in the present moment or in days to come, you can stand spiritually whole even when things have fallen apart and crumbled all around you.